Picture from ICE’s stand at the exhibition. 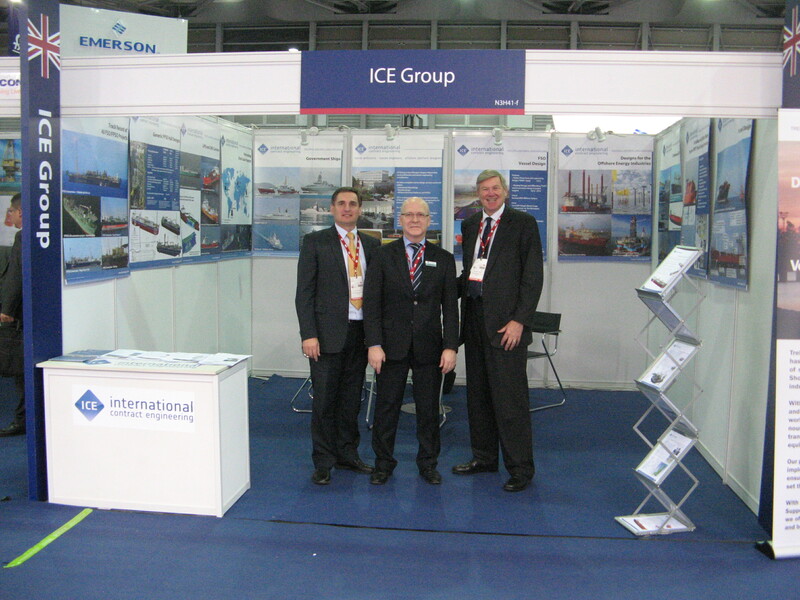 ICE recently participated as an exhibitor at the Marintec China 2015 trade show in Shanghai, as part of the UK national pavilion. The trade show had a record number of over 2,000 exhibiting companies and covered 80,000 square metres of exhibition space. ICE also presented a paper at an associated seminar entitled “High Tech & Innovative Marine Equipment & Services for Chinese Shipyards, Shipowners & Design Centres”. The speaker, Steinar Draegebo, Chairman of the ICE Group, presented how UK-developed state-of-the-art ship design software combined with ICE’s robust project management system enables ICE to remotely undertake complex ship design projects for clients around the world.